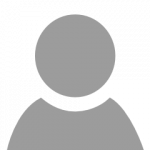 Amazon SQL Server RDS Instance doesn’t support to restore data from .bak files. So using this article I am writing to how to migrate your SQL server database to Amazon RDS instanace with easy steps. If you looks on AWS migration steps its too complicated, But windows Azure migration wizard tools provide an easier way to migrate data between local SQL Server to AWS RDS instance. 1.1. 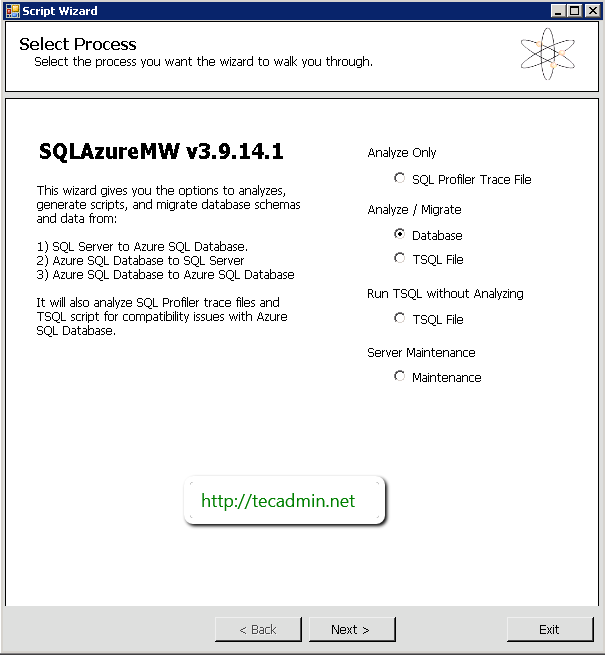 At the very first we need to download SQLAzureMW using below url and extract on your system at any location. 1.2. Use SQL Server Management Studio to connection to your local sql server and AWS RDS instanace and make sure you have proper connectivity to both server. Double click on SQLAzureMW.exe file from downloaded SQLAzureMW tool, and it will open screen like below. Select option Database and click Next. 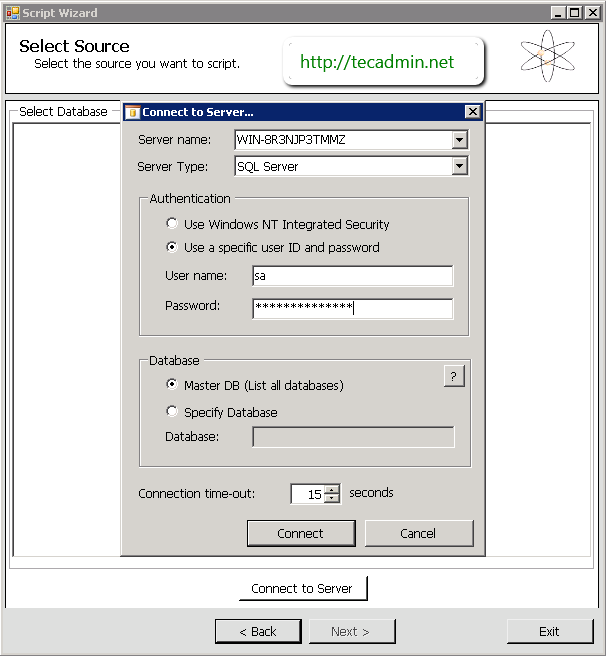 Enter source SQL Server database connection details and click Connect. Select datababase to be migrate on AWS RDS from the list of databases and click Next. 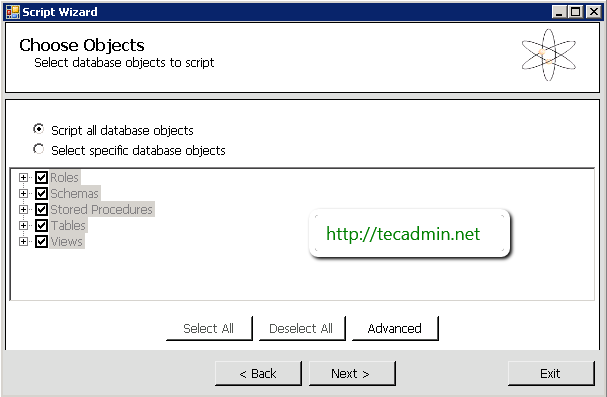 Select “Script all database objects” option to migrate complete database or you can use second option to migrate selected objects only and click Next. 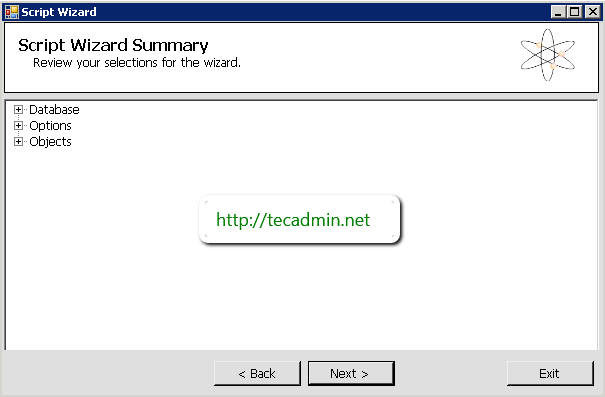 Review the list of selected objects to be migrate and click Next. 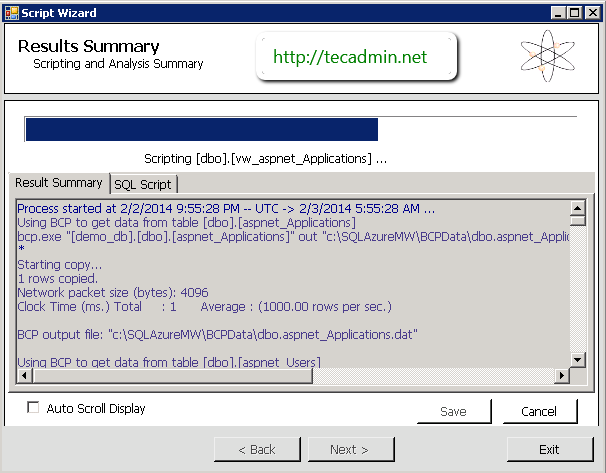 In this step wizard will create a script for all your sql server objects, Use Save button to save the script on your local hard drive and click Next to go to next step. 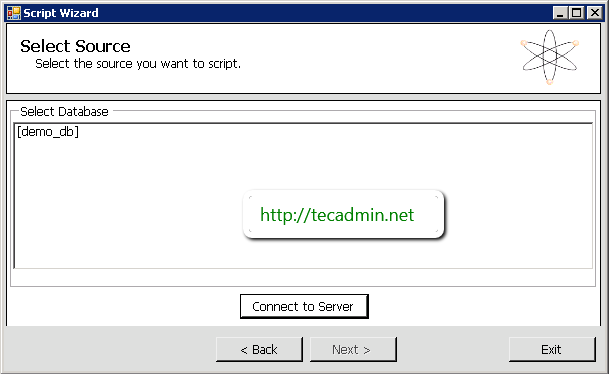 At this stage you have successfully created script of your database. Now input your RDS SQL Server connection details as below and click on Connect. 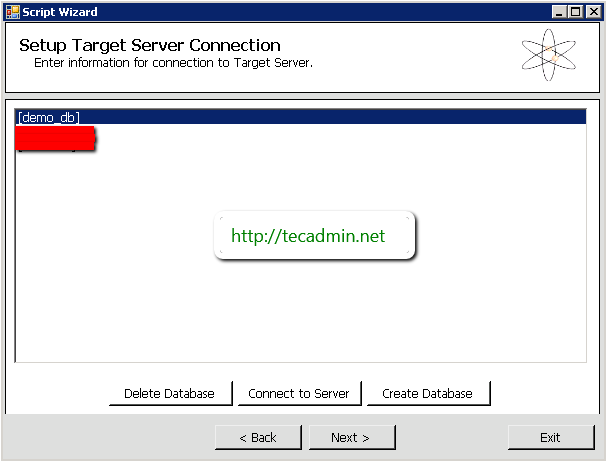 Select target database to which you need to migrate your data, If you do not have already created database, create new using Create Database button. Finally click Next. 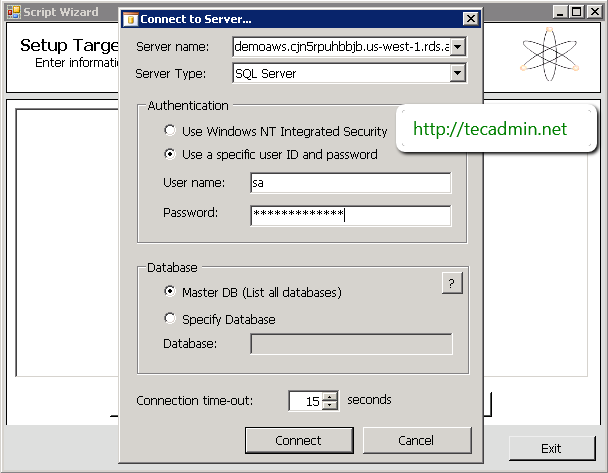 At this step you will see that all data has been migrated to RDS SQL Server instance. Save the output showing on screen using Save button and check for errors if any. 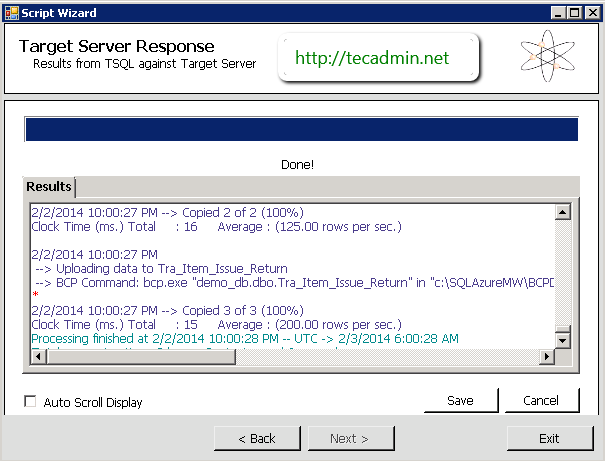 Now use your local SQL Server Management Studio and verify all your data migrated successfully or not. In case you get any errors, fix it manually. The program isn’t available on codeplex anymore. Do you have a local copy that you can share? Thanks for this helpful tutorial. Could you tell me if the source database keeps running after AND during migration ? We need to copy our database for tests purpose of the production db. Does it work with this Tools ? The migration techniques are well explained , especially you have included very important step . verification of the data after migration. nice rahul !